Football and Pies - a match made in Heaven! Well, that's obvious! 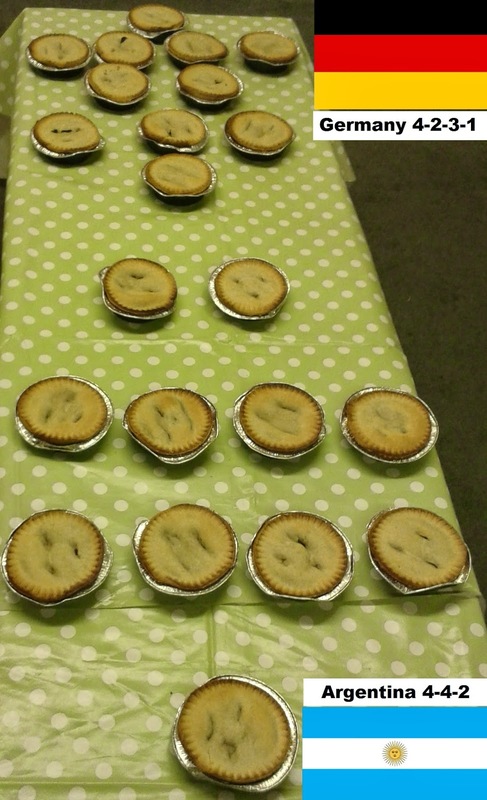 So we thought we'd get into the Samba spirit by writing about pies and football throughout the World Cup 2014. After all, us not talking about pies during a Football World Cup would be like a World Cup without Brazil! So check back here regularly for our latest news about football and pie during World Cup 2014!!! After all the fun, the thrills and the pie spills of the last 5 weeks at the 2014 World Cup, we could hardly round off the most popular World Cup pie blog on Google this summer without a final hurrah - just to keep you occuPIEd for the next 4 years! So bring on the reciPIE for these Brazilliant Chicken Brazilian pies! Yep, you can still have a taste of Brazil in your living room, even if the football action has long gone. So why not have a go at making these Brazilian Chicken pies, which were created by Andy Bates for the Food Network UK website and lovingly produced and rated by our very own Ship's Cook! And you can always catch up on anything you missed below when you were too busy watching the football! So just a note of thanks to the hundreds of readers of our World Cup 2014 Pie Blog! I'll leave you with my image of the tournament. Oh... and bring on World Cup 2018!!! 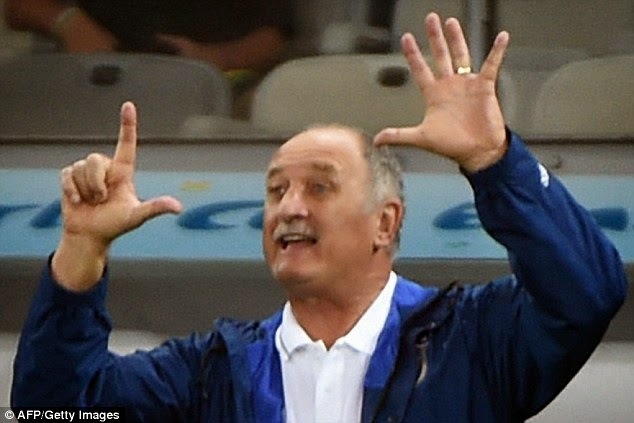 That's right Scolari - we rate pies out of 7! One of the pinnacles of sport - the FIFA Football World Cup Final - has taken place and Germany are champions of the world! We thoroughly enjoyed eating 24 Holland's Steak and Guinness pies, new to their range, as we watched the World Cup Final with friends from City Church, including a number of international students for whom this was a new experience in half-time football pie eating! Having already rated them on the 7 Cs of pie rating while watching the Holland v Argentina match - which you can read the full review of here - people seemed to thoroughly enjoy the pies and it certainly livened up a largely uninsPIEring first 45 minutes! While the pie we ate in Germany certainly wasn't a world beater, the football team delivered when they needed to and you've Gotze had it to them. It was a stunning strike to win the game and the Germans can now enjoy the sweet success of apple pie! In what's believed to be a world exclusive, Pierate can unveil a leaked copy of Holland's team sheet for tonight. As you can see from the image, Holland seem to be filling the midfield, going for a 3-5-2 formation that served them well against Argentina but just didn't quite give them the edge. There's a lot of consistency in the team, it has to be said, with all the comPIEtitors quite evenly matched. It will become apparent whether they have the bite needed to be victors tonight and take the 3rd place playoff win but we certainly look forward to seeing how they score tonight! Joking aside, the Holland's Steak and Guinness pie is new to their range and has been perfectly timed to be enjoyed over the World Cup period. We enjoyed rating it on the 7 Cs of pie rating while watching the Holland v Argentina match and you can read the full review here. Alternatively, if you want to see how the top pie bought in Holland rated, why not read our Netherlands pie review or see how their pie got on when they competed in a World Cup Pie Off with Australia earlier in the tournament? So let's face it - I don't think anyone could see that 7-1 thumping by Germany over Brazil coming and Twitter was full of comments about the match - summarised well by The Week online - but we at Pierate couldn't resist having a bit of banter about it too. After all, 7?! Seven?! That's what you rate a pie out of, not a football scoreline! We've been rating pies on the 7 Cs of pie rating for over four and a half years, so we know all about the number 7! The top German pie we've rated got a very respectable 5.7/7 but couldn't score as highly as the German football team! And while we have yet to find a perfect 7/7 pie among our 370+ pie rankings, we're charting a course to find the ultimate pie! The Quarter Final match up between France and Germany gives us a chance to compare more pies with our third World Cup pie-off! Can the French flair continue? Will the Germans prove too efficient? Find out in our pie head-to-head! While our Pierate blog is very much focused on bringing you our view on the pies we've eaten up and down the country, we can't deny there is a bit of a football pie bias! After all, there's nothing better during a football match than a half-time pie! So while this is a World Cup football pie blog, we thought we'd make you aware of a few domestic British pies we've rated too! The first place to head for info on our England football pie reviews is our Football Pie League, highlighting the pies and lows of eating half time pastry snacks at the nation's football grounds. It is no surprise to find Morecambe FC currently top of the list with their homemade gourmet pies made by pie legend Graham Aimson. This is relatively rare, with most grounds selling mass produced brands such as Shire, Pukka or Peters. See the full leaderboard as we rate more of England's Football league pies! However one of the things that insPIEred us to write about football pies (and pies in general) was the book "92 Pies" by Tom Dickinson and we're delighted to announce that we have just reviewed the book on our infamous 7 Cs - which makes it the first non-pie to be officially rated on the 7 Cs! 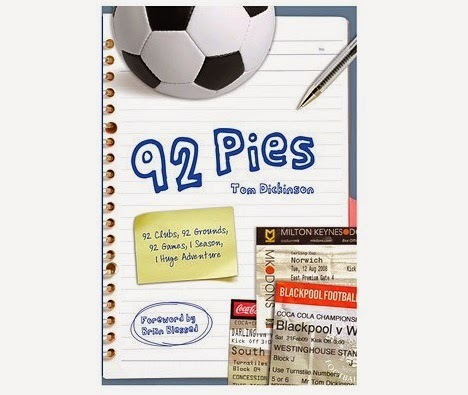 Check out the review of the book and see how it rated on our "92 Pies" review page! It turns out that Pierate isn’t the only website promoting national cuisine during the World Cup in Brazil. While we have had a number of pie offs, featuring comparisons between our top rated pies in England v Italy and Australia v Netherlands, this summer the Great British BBQ launched El Sausageo 2014. It’s a tournament to mirror the football, pitting sausages from around the world against other competing sausages in a football style tournament. It’s a highly impressive undertaking, with the national sausages from each country being pitted against one another in a series of taste tests conducted by the Great British BBQ. The group stage has been completed, mimicking the World Cup group matches being completed, and there are already a number of surprises and certainly some different results to the actual football score lines! Who got out of the groups? Who will be crowned El Sausageo Champion 2014? Keep an eye on the El Sausageo 2014 website to find out! I'm sure we all know that feeling of having extra sticker swaps and no-one with the stickers we need. Be it Premier League or Pokemon stickers back in the day, or the current Panini World Cup sticker album, it's always great to get a helping hand in finding those final swaps to complete your collection. Well that got the guys at BadMan Media thinking - and on 22nd June they organised "Want Got Need" - a sticker swapping event during the World Cup. While we sadly couldn't attend, lots of money was raised for Macmillan Cancer support charity and plenty of swaps were made to! We were happy to support the event - of which you can see some more info and photos on the BadMan Media website - by providing a Pierate mug for one raffle winner, so congratulations to whoever won it! The whole "want, got, need" philosophy behind the sticker swapping event really struck a chord with us - particularly when we were at the British Pie Awards back in April. "Want, got, need" were pretty much our thoughts when looking at the vast array of pies on show - some of which we have already rated but many of which we want to add to the 370+ pies on our pie rankings list! We look forward to rating many more of the winning pies from the British Pie Awards in the coming months! - The day kicked off with a visit to Robinsons Bakery in Failsworth, north Manchester. Having rated Highly Recommended mince pies from there back in November 2013, Pierateer RAS enjoyed a tour of the bakery as part of their 150 year celebrations. That's a lot of pies baked in that time! The Steak and Pork pies rated well too! 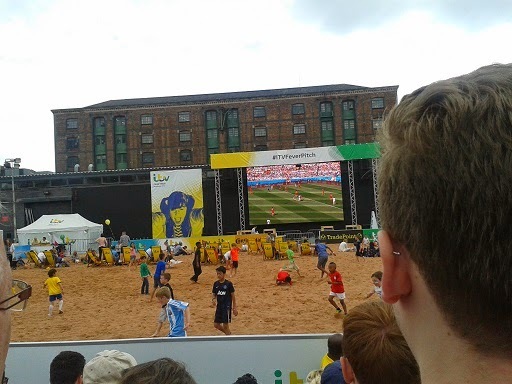 - From there Pierateer RAS enjoyed watching the Argentina v Iran match at the ITV Fever Pitch Fan Park, complete with beach football pitch and giant TV screen - but controversially no pies!!! The match up between Australia and the Netherlands gives us a chance to compare more pies with our second World Cup pie-off! Are the Socceroos as adventurous with their pies as they are on the pitch? Will the Dutch turn in a masterclass? Find out in our pie head-to-head! 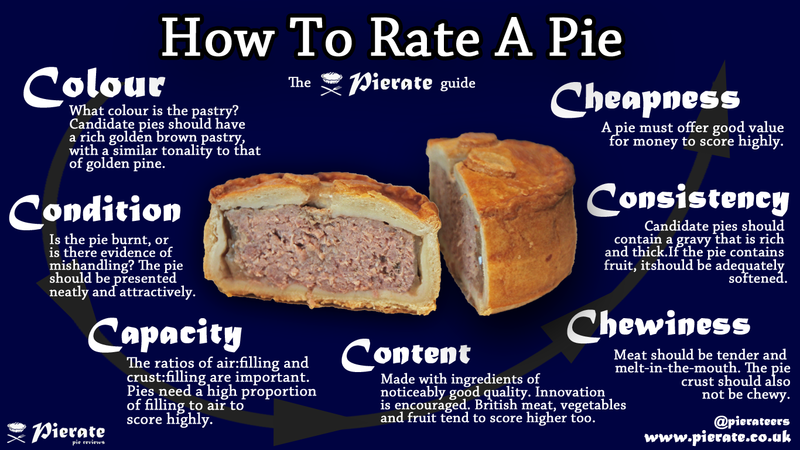 While Belgium may be famous for it's chocolate, we've rated pie there too you know! But while the Belgium football team have been labelled Dark Horses of the Fifa World Cup by numerous pundits, can the same be said for their pie?! We found and rated a "Warme AppelTaarte" when in Brugges, which we were assured translated as Warm Apple Pie - not a dreaded tart! It was quite a firm, crisp base with a softer lattice lid but it did taste reasonably good. The apple filling was quite saucy and enjoyable. 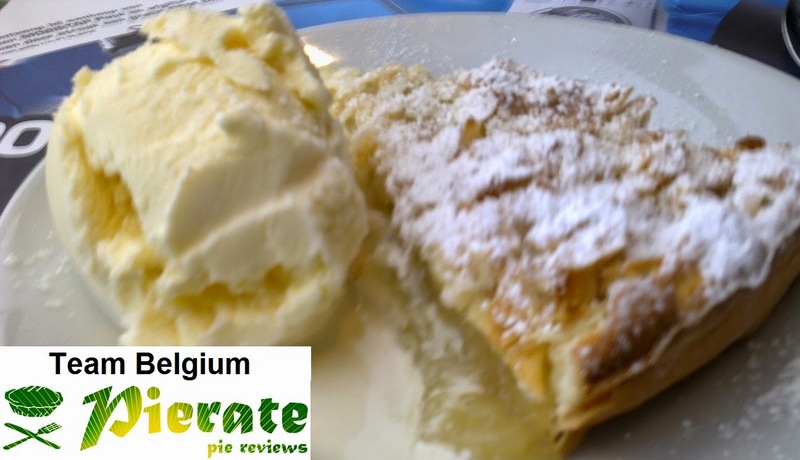 Find out how we rate it's chances by reading our Belgium Pie Review! 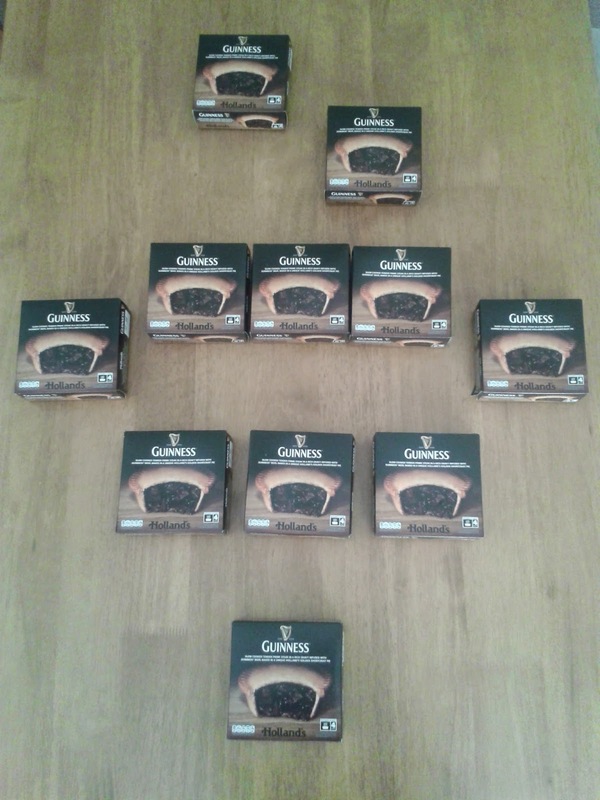 With the big match of the day being the England v Italy tie, we couldn't help but have a World Cup Pie-Off! Find out who won between Team England and Team Italy in the first ever World Cup Pie-Off, with the top 3 pies that we've rated from each country compared. Arriba Arriba! 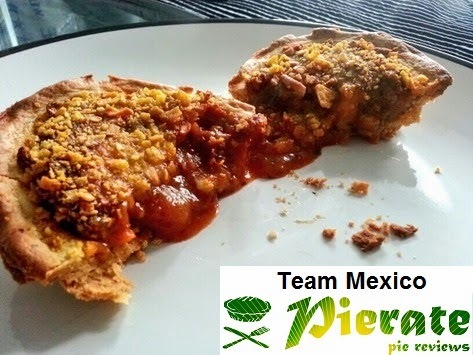 Perhaps you will want to give a Mexican pie a try, to celebrate Mexico kicking off their World Cup campaign with Cameroon at 5pm UK time today?! Well fortunately we've found and rated one! See our review of the Mexican Beef Pie from Asda. And if you're insPIEred to go and buy one - why not check out all our Asda pie reviews here?! Have a good look, say hello, give it a Mexican wave. This Mexican pie promises “Tasty chilli beef with black eyed beans and jalapeno peppers, wrapped in tomato and coriander pastry finished with a tasty monterey jack and tortilla crumb”. So find out how it rated on the 7 Cs - whether it hit the back of the net or deserved a red card - by reading our Asda Mexican Beef Pie Review! Ole!!! Top score per country of the pies we've rated from around the World! Note: This table simply shows the highest rated pie we have eaten and reviewed in each country, therefore countries we have not yet visited cannot be listed yet! It does not provide a representative sample of the full range and quality of pies in each country but we hope one day to add to this list!